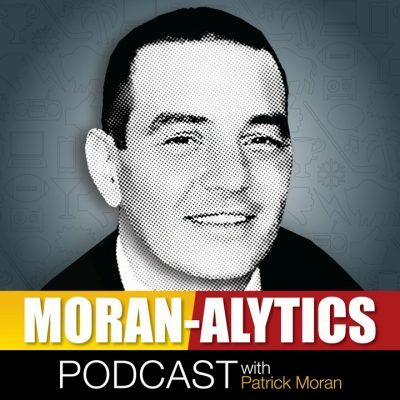 On this episode of the Moran-Alytics Podcast, Patrick Moran has an extended interview with the executive sports editor of The Buffalo News, Josh Barnett on a variety of topics. Barnett talks about growing up in White Plains, New York as a child before passing up a scholarship elsewhere so he could attend Syracuse University with dreams of sports journalism on his mind. His path eventually led him to the Philadelphia Daily News, where he became sports editor and eventually executive sports editor. From there in 2012 he went on to work at the USA Today, where he took charge of sports magazines and non-daily’s before running the national high school sports digital platform. Ultimately it led Barnett to The Buffalo News in 2017. He describes the process of that happened before addressing the widely publicized and controversial 2018 spring at the News that saw an exodus of veteran sports writers leave via buyouts for a reported variety of reasons. Barnett provides insight from the News side of things, talks about the difficulties and adjustments that came with the many exits, goes over some of the new additions to the staff and has a take on The Athletic opening up a Buffalo division that’s sprung the most competition the News has had for eyeballs in several years. Seeing they’re both big wrestling fans (Barnett actually does some writing for PWI), they end the chat by talking WWE and Barnett has thoughts on what’s contributed to a lackluster handful of months, the women’s secondary angles becoming a problem, and looks ahead to some potential Wrestlemania matchups. You can follow Josh on Twitter @ByJoshBarnett. Immediately after is the return of “The Run-In With Joe” on the heels month hiatus that saw Joe spending time in Buffalo drinking a lot a lot of craft beer and hating on Jim’s Steakout. Joe’s (@BuffaloWins) commentary on one of Moran’s favorite sub joints has him unhappy, as does Joe confessing he was never a fan of the classic TV show Happy Days. They do put aside different opinions to talk about the recent struggles of the Buffalo Sabres that have seen them fall out of a playoff spot while also examining the possibility that Bills GM Brandon Beane may be willing to try and orchestrate a trade for Steelers wide receiver Antonio Brown.